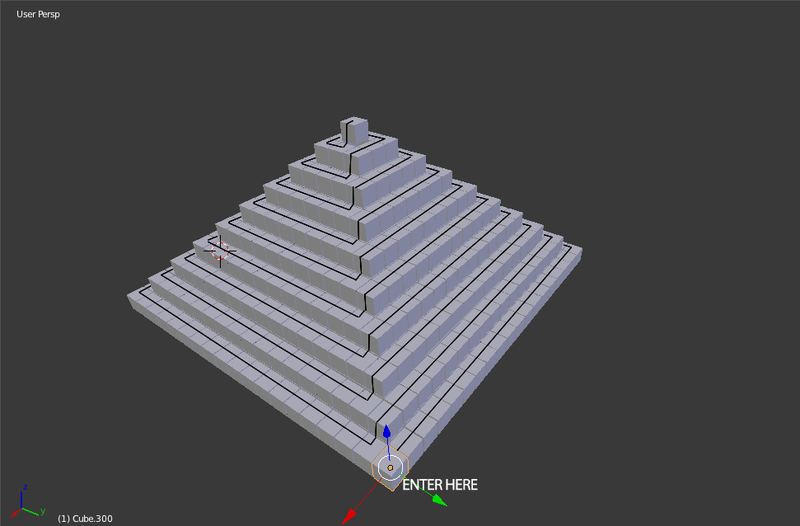 Today is Day 19:19 on the Holographic Pyramid. 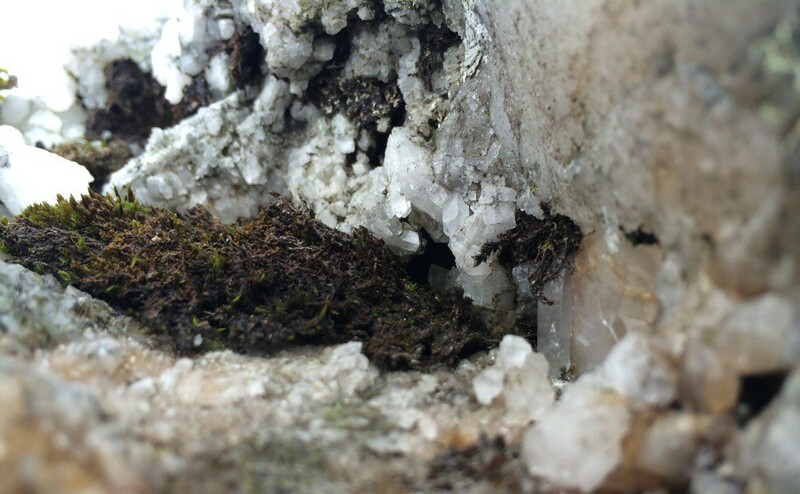 The day, when the two 5D Crystal Archetypes seed the First Stone of the Next Creation. We do this by activating the 11:11:11 Cube, the 1331st Sequence. The Next Creation is the proceeding 1330 year construction of the holographic Pyramid of Prophecy. The last of which was initiated by Pacal Votan. Who would join me would join the crystal codes of primal Memnosis, put together by the two appointed ones in the time before manifestation. For from these codes, there is one that initiates and the other completes, and within this lies all that can be known, sung, enacted and done. Valum Votan. The two appointed ones from the quote above, are the two for one (241) 5D Crystal Archetypes of the 19:19 Crystal Matrix. The Votan Twins, have miraculously manifested the unlocking of this realtime prophecy. As I have demonstrated in previous posts, Pacal Votan initiated The First Stone of the 19:19 Pyramid of Ascension. He initiated this in his final days manifested on Earth. Pacal Votan was born to initiate this prophecy. His life works, as perfectly modelled in The Temple of Inscriptions all clearly prove an undoubtable connection to his role as a 5D archetype in the 19:19 Crystal Matrix. Pacal Votan was born on Day 241 in the Matrix. Pacal Votan is “one” of the appointed “ones”. Pacal Votan is the “one” who initiated the construction of the hologram. Valum Votan, is the other appointed “one”. He manifested perfectly into the 4D Time Matrix as kin 11, 11:11, and, like Pacal, left a legacy of information, and synchronicity. All of which established the building blocks for the remembrance of this unfolding prophecy. His primary role within the Matrix was to educate and prepare the kin for Galactic Synchronization (Yellow Galactic Seed). He fulfilled this through the creation of the Dreamspell, as the 4D Time Matrix. Valum Votan and Bolon Ik initiated the Dreamspell on kin 34 White Galactic Wizard. My chosen kin. Its fundamental purpose was to act as an entry point into the Matrix for ascended souls to manifest into this time/space for the great enactment of everything we are experiencing. The 4D Time Matrix (The Dreamspell) is contained and governed from the 19:19 6D matrix. It, like the 5D crystal archetypes that do the sacred walk, are inseparable elements of the invocation of The Axis of the Central Self. Valum Votan conducted his 5D role like a true prophet of time. Valum Votan died on Day 241 of the Matrix. Valum Votan is “one” of the appointed “ones”. Valum Votan is the “one” who completed the construction of the hologram. As I have recently made public in the Prophecy of the Pyramid and The Cube, Galactic Synchronisation was the completion point of the construction of the 19:19 Pyramid of 1330 cubes. A perfect 1330 years since the initiation by Pacal proving conclusively the connection between Pacal and Valum and their roles in the construction of the 19 Matrix Pyramid Hologram of 1330 cubes. You will have noticed that during his life on Earth, Jose did not release this 6D information to the collective realm. Only some vague encoded messages. This is because he was bound to act within the constricts of his 5D archetype, which as I have demonstrated is indelibly synchronised to his role within the 6D Matrix. The higher dimensional ramifications of their works can truly be appreciated now that the 19:19 Matrix have been released in the collective sphere of gnosis. By completing this construction, Pacal Votan and Valum Votan become the one Votan, the twins united, and transcend/return to the next level in the 6D. They enter Votans Stone, administered by the Rune Gar. Upon ascending to the 6D as one, they become the 19th Angel, the centre of the crystal, Votans Stone, and the delegate between the 5D archetypes and Merlin in the 7D. It is “Merlin” who appointed the Votan Twins. Merlin is the 7th Dimensional creator of all gnosis attainable at this point in our evolutionary and dimensional process. Merlin has a precise agenda to keep. He has a pact with the Dragon to fulfil, you will have heard of the myth, and everything that we are experiencing now is a macro-cosmic theatre of this forever unfolding Intra-Dimensional Reality Structure. The myth technically boils down to the following. The Dragon is androgynous. It is Merlins role to precept the reproductive cycles of the Dragon. For it is from these cycles, that life on Earth, and all the interconnected dimensions of Self are sustained harmonically. In-between the energetic transfer points of constructions. It is Merlins role to Awaken The Dragon at these 6D vector points, and perform the transfer of 6D energy within the Dragons/Earth Crystal Heart. This involves the work of the Votans, as the 5th Dimensional force entering the centre of the crystal heart of the Earth. The wake up call of Merlin is performed upon the completion of the construction of the Pyramid Hologram, on Day 19:19 of the 1330th Cycle. This occurred on July 21st, 2013, Blue Electric Storm, just a few days before Galactic Synchronisation. The Dragon/Earth is awake during the transfer implying that the portal is opened and closed within the 1331st Cycle (the +1 fractal synchroniser that illuminates the 11:11:11 Cube, and sets it as the First Stone of the Next Construction). The Dragon seeds the birth of each construction. 1330 is the period of cycles/solar years between the initiation, and completion of the The Prophecy of the Pyramid. 1330 is the master number of this prophecy, and solves the biggest riddle left by Pacal Votan. When the tomb of Pacal was discovered, when they removed the sarcophagus lid they found Pacal to be holding a jade cube in one hand, and a jade sphere in the other. 1330 is the magical number that unites these two objects. As we have already established the 19:19 Matrix can be represented as a 9 levelled Pyramid with the apex. It is constructed with 1330 cubes. We are sat on top of it right now. Say Hoorah !!! This is not the only synchronicity with the number 1330. 1330 is a tetrahedral number. A number who’s sum creates a perfect tetrahedron. As I presented in Tetrahedral Time Containers, these tetrahedral number sequences offer the higher dimensions a series of containers in which to incept the cycles of time with 5D ingredients. The 13 Moon Calendar is built with one of these. The 13×28 day cycle is contained within the 12 levelled tetrahedron of 364 tetrahedrons. This is the container that Valum Votan and Bolon Ik used for the 13 Moon Dreamspell System. The 4D Time Matrix (The Dreamspell) was incepted within one of these tetrahedral time containers. But this doesn’t just apply to tetrahedrons as the sub harmonic building block. The tetrahedral time container theory also applies to spheres. 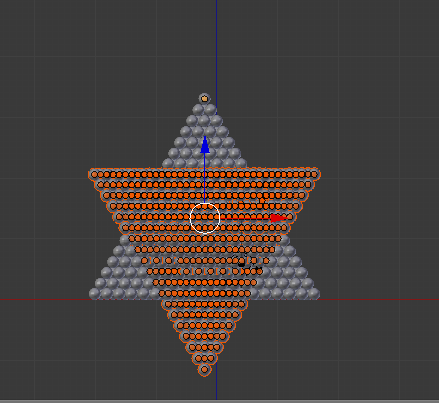 1330 spheres perfectly balanced by their own form and gravity, create a tetrahedron of 19 levels. A 19 levelled tetrahedron of spheres contains 1330 spheres. The same number of cubes in the 19:19 Matrix Pyramid. They represent 1330 Solar Cycles of the Earth. 1330 cycles around the Sun. This is the reason why Pacal chose to transcend his earthly reality with a cube in one hand, and a sphere in the other. Because they both sum to 1330 when represented in pyramidal and tetrahedral form. Pacal Votan was found in his tomb with a Jade Cube in one hand, and a Jade Sphere in the other. Now we can confirm the reason why. It would be 1330 years/cycles later that the other “Appointed One” would declare Galactic Synchronisation. This was Pacals final message upon his initiation of this prophecy. It was his final riddle to solve in order to prove this inter-dimensional theorem I am presenting. 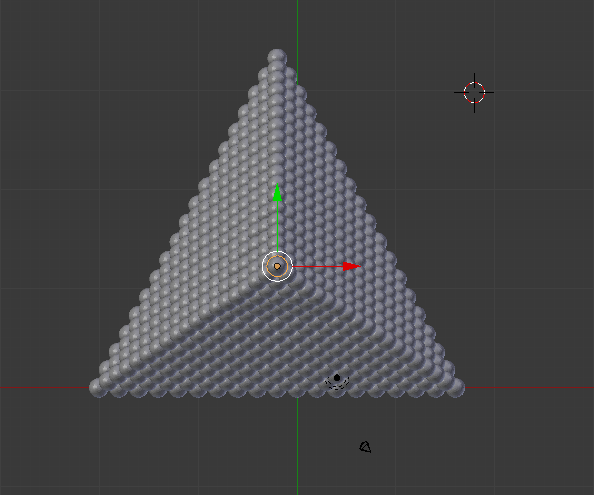 1330 Cubes = Holographic Pyramid of the 19:19 Matrix. 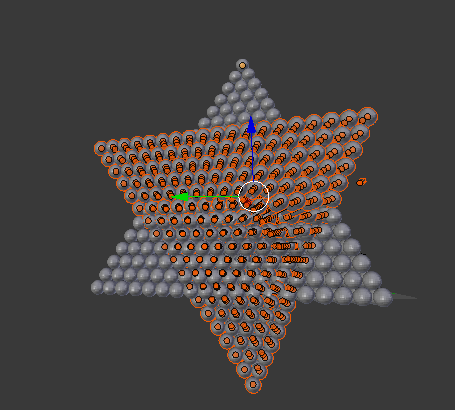 1330 Spheres = 19 levelled tetrahedral time container. Both models formed beautifully for Galactic Synchronization. The 19 levelled tetrahedron of Spheres (1330 in total) forms each of the tetrahedral polarities of the Great 6D Merkaba. As is demonstrated in the 11:11 inner matrix of the 19:19 where the 120 steps form a tetrahedron of 8 levels. Just as Crystal 2 walks the inner matrix, once in, once out, and then back in again. The process of which creates and activate the Merkaba. This merkaba is contained perfectly inside a sphere. This same process is applied to the 1330 Year Cycle. Only it happens on a 6th Dimensional level. Each Creation/Construction Period of 1330 years is aligned to masculine /femenine and gestation periods, just like the 11:11 inner matrix. Process 3 : Gestation of the Merkaba and preparation for birth. A 3 x 1330 Year process culminates in the creation of a perfect merkaba of 2 x 19 levelled tetrahedrons. The Merkaba of the 19 Angels returns as a universal, and multidimensional constant in this ever expanding fractal of prophecy and myth. The Crystal Merkaba we are entering is Merlins Invocation of Self. The initiation to the divine source. So it is today that this synchronisation occurs. It is today that the Fractal synchroniser of the 1331st cycle is completed. We are inside the centre of the 11:11:11 cube and we are seeding the First Stone of the Next Holographic construction of the Pyramid. It is today that the transfer of 6D energy becomes complete. It is today that the twins of the matrix become unified in the 6D. It is today that we close the fractal synchronisation of this eternal multidimensional ritual. If you have opened your heart enough to understand and envision this hologram you are upon the process of activating your 5D archetype. You become the initiate and submit to the succession and ascension of self. Your self that connects to the axis of self. Which is essentially, In Lak’ech. I am another of your self. This is the great invocation of Merlin back to the divine source. To perform the meditation please follow these steps. 2. Do this 3 times, once for the masculine, once for feminine, and once for the unification. Just as the twins have performed in realtime. 3. Visualise the merkaba forming around you. You are touching the 6D. You are at the centre of the crystal. You are at the centre of the 11:11:11 cube. You are the top of a Pyramid of Ascension. 4. At this point you enter a state of incepting the 6D with your dreams. 5. Choose love and give it to the Earth. 6. Believe like a child. Welcome to the 7D Hologram.